Limited to 200! 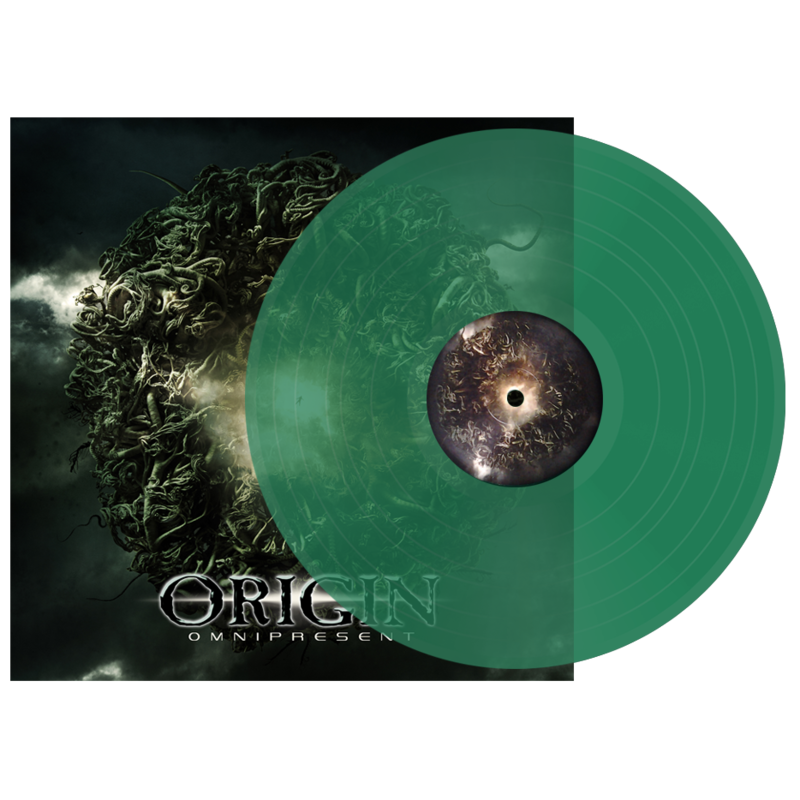 Green vinyl exclusive to Nuclear Blast. wave of extremity with their sixth studio effort entitled “Omnipresent”. ORIGIN was formed in Topeka, Kansas in 1997. The original line up consisted of Paul Ryan, Jeremy Turner, Clinton Appelhanz, George Fluke, and Mark Manning. John Longstreth on drums / Doug Williams on bass), more shows followed and the band gained a reputation for going toe to toe with legendary acts such as Napalm Death, Nile, and Gorguts.